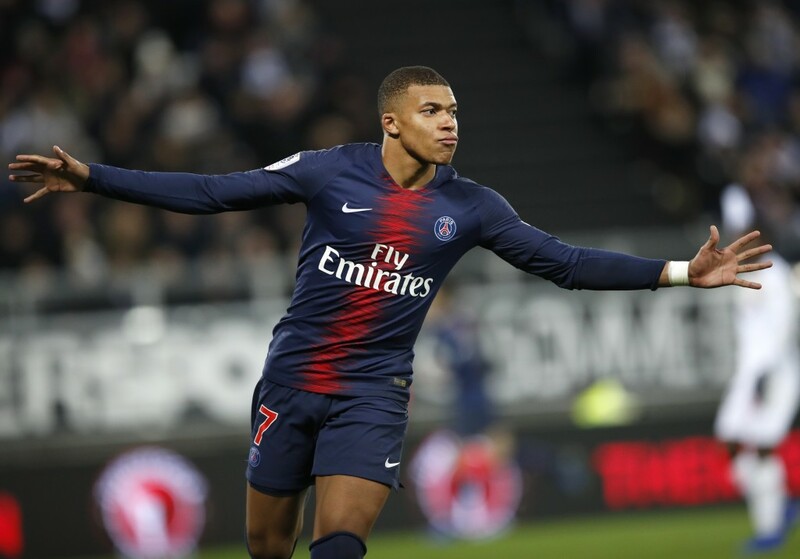 The win moved PSG 13 points clear of second-place Lille , having played two games less. Edinson Cavani put PSG ahead from the penalty spot after 57 minutes and, after Mbappe struck in the 70th, center half Marquinhos completed the scoring in the 79th. It was a return to winning ways after the humiliating home defeat to struggler Guingamp in the League Cup on Wednesday. 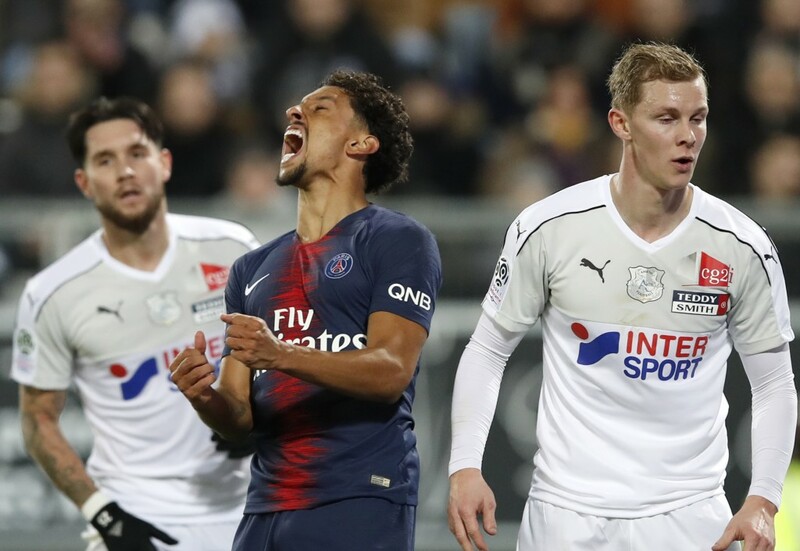 Amiens almost caught PSG with a perfect sucker-punch seconds before halftime, when a PSG free kick was cleared and Colombian Stiven Mendoza sprinted down the field before crossing into the penalty area. The ball fell to midfielder Eddy Gnahore, whose shot was kicked away by goalkeeper Alphonse Areola. It was a letoff for PSG, which was missing Brazil star Neymar. He was rested by coach Thomas Tuchel after feeling fatigue. 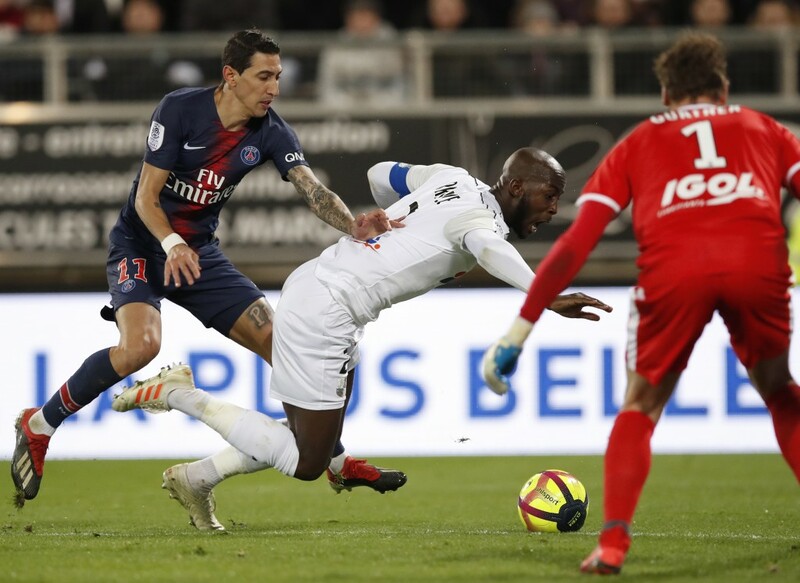 Amiens looked in control until midfielder Alexis Blin slid to block a shot from Angel Di Maria with his arm. 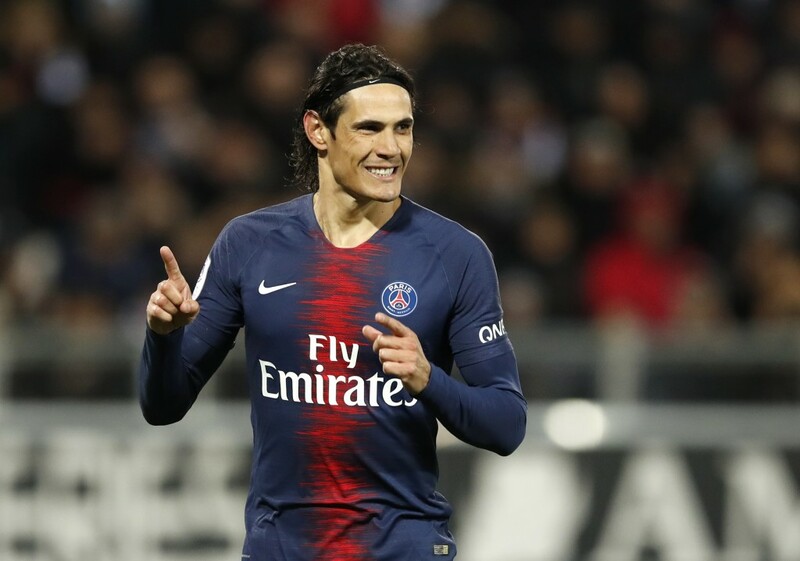 In the absence of Neymar, Cavani took the penalty and converted it confidently for his 11th league goal. Midway through the second half, Amiens went down to 10 men when left back Khaled Adenon was sent off for a second yellow card after pulling back Mbappe. Moments later, Mbappe swept in a fine cross from Cavani following a counterattack quickly launched by midfielder Julian Draxler, who dribbled his way into the area to set up Marquinhos. Later Saturday, last-place Guingamp was at home to Saint-Etienne and Nice was facing Bordeaux.